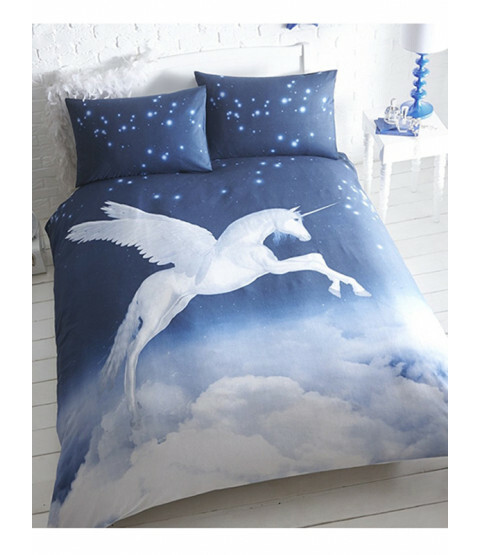 This stunning Unicorn single duvet cover and pillowcase set will add a unique and stylish touch to any bedroom. 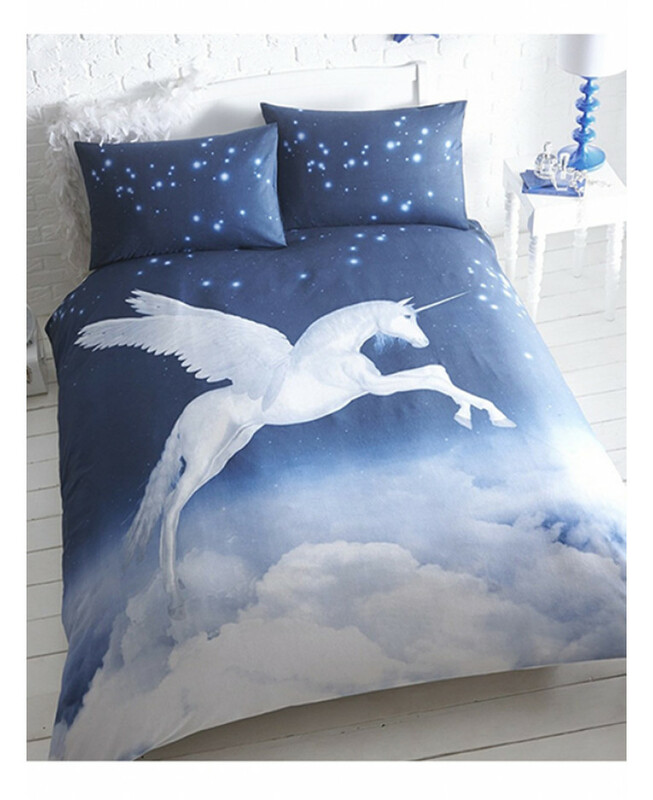 The design features a beautiful image of a magical winged unicorn flying above the clouds on a starry night sky backdrop. This duvet cover set is suitable for machine washing and tumble drying.